There is more to do in iOS 11’s latest update. Many such new features have been added to this new update that will make your user experience even better. Now you can restart your iphone, iPad without pressing the power button. This latest feature is now part of iOS 11. Before this you had to press the wake / sleep / power button to restart or shutdown your device. So let’s tell you how to restart your iPhone, iPad without pressing the power button. Firstly, you need to update your device with the latest iOS 11 as this new feature is included in this new update. 1 First you have to open Settings. 2 In Settings, you have to tap on General » Accessibility » AssistiveTouch. In AssistiveTouch you have to tap on Customize Top Level Menu …. 3 Next you have to tap on + button as you can see screenshot the new blank + icon will be appear. Tap on it. 4 Now you have to select the Restart option. 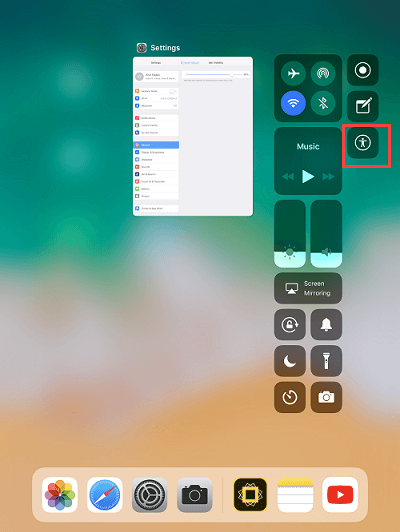 5 Come back to Settings once again and tap on Control Center » Customize Control. 6 Now you have to add the Accessibility Shortcut by tapping on +. Now open your home screen. 7 At home screen you have to Swipe up from the bottom edge of any screen. You can see the Shortcuts icons on screen. In the shortcut icons you have to tap on Accessibility Shortcut icon. 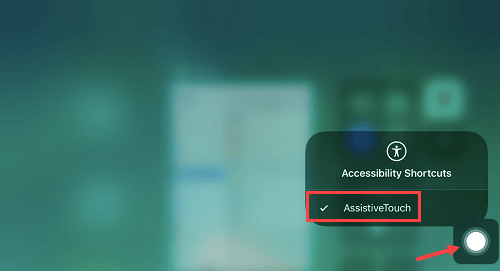 8 After taping on accessibility shortcut icon, you have to select AssistiveTouch. After taping on AssistiveTouch, you can see the Assistivetouch icon, you have to tap on that icon. 9 As soon as you tap on the AssistiveTouch icon, you will see a Restart icon, just tap on it. 10 Now on the next screen, you have to tap on Restart to confirm. So in this way you can restart your iPhone or iPad without pressing power button. 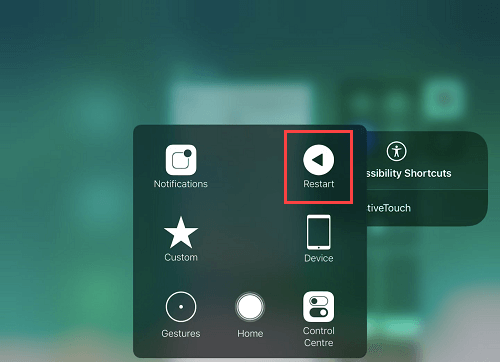 Whenever you want to restart your device – Swipe up and select Accessibility icon then Assistivetouch icon and select Restart. You can also Shutdown your device without touching power button.